The trip that we’d been waiting for all semester finally came this past weekend and oh was it even more incredible than I could’ve imagined. 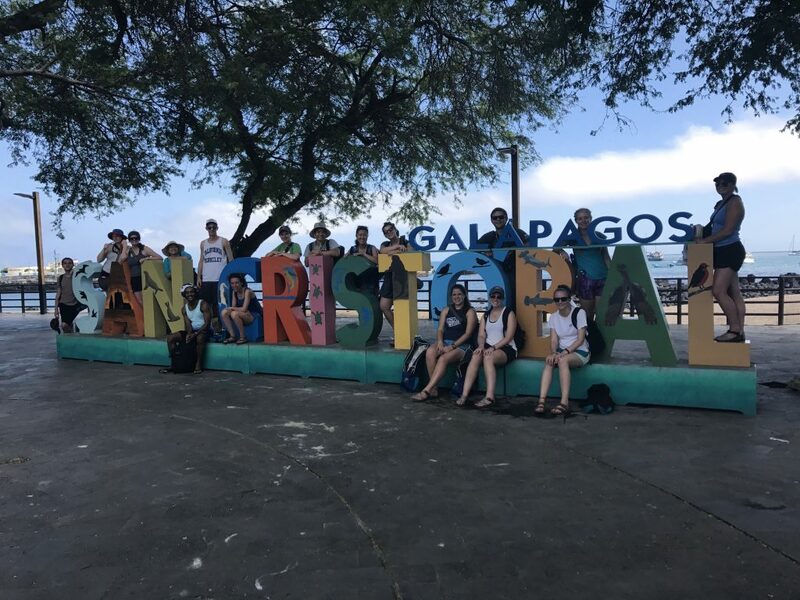 We went on our second and final IES sponsored excursion and this time it was to the Galápagos Islands. 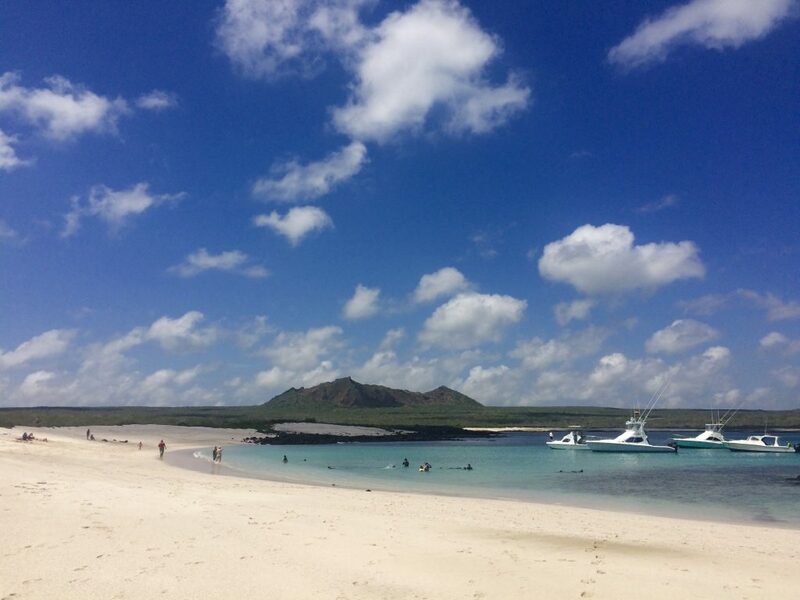 Yes, THE Galápagos Islands, complete with crystal clear water, giant tortoises, and the purest beaches. We packed a ton of different activities into our four days there, so for this post I’m just going to share some of my favorite parts. First, here’s a bit of basic info about the trip: we left early on Thursday morning, flew to an island called Baltra, took a 10 minute ferry ride to an island called Santa Cruz and stayed there until Friday morning. On Friday we took a 2 hour boat ride to the island of San Cristóbal, where we stayed until Sunday. Now for my personal highlights! Something to know about me is that I LOVE, and I mean really love, boat rides. I have been blessed with the gift of never getting seasick which makes the whole boating experience way more enjoyable for me. This weekend was filled with boat rides so I was pretty content the whole time. Like I mentioned before, we took a 2 hour ride to get from one island to the other. I listened to music, continually reminded myself of where I was and how cool that was, and even got to drive the boat at one point (let’s just say I didn’t find my calling with that experience). We also took boat tours on Friday and Saturday in San Cristóbal. My favorite tour was on Saturday when we were on a boat from 7:00 a.m. to 5:00 p.m. (with some breaks on the beach and in the water) and we circled the entire island. Another pretty sweet thing that we got to do was snorkeling. We went snorkeling in three different spots, each bringing something special. 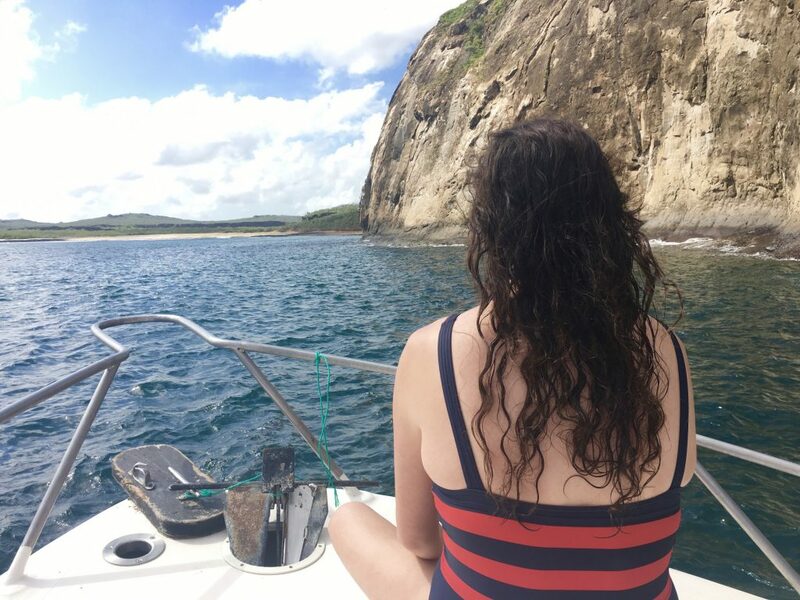 The first time we went snorkeling we swam at a small island called Isla Lobos and swam right next to sea lions (sea lions are everywhere in the Galápagos by the way). The second time we snorkeled at a rock formation called León Dormido and we went through a cavelike structure where sharks swam beneath us. Our guide said they were vegetarian but I don’t know how much I give in to that…nonetheless the initial fear turned into awe. 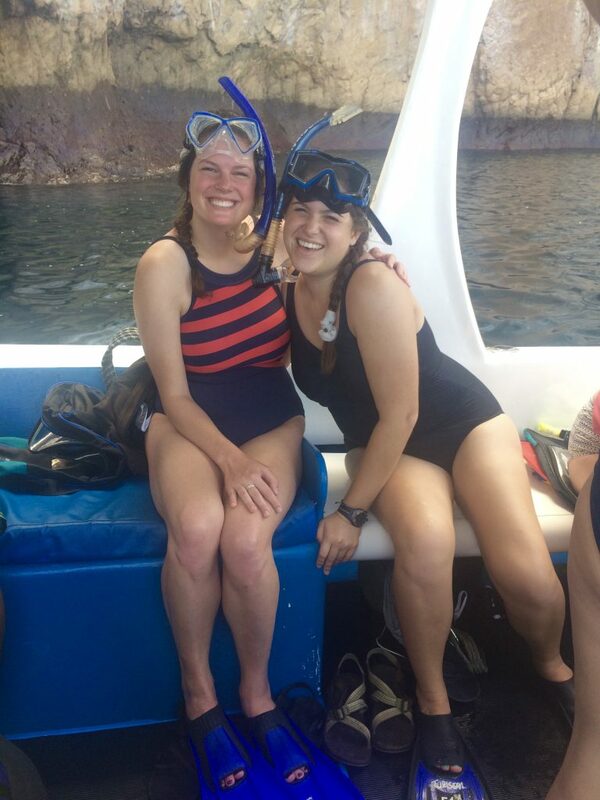 Finally, we snorkeled in a lagoon with more sharks, sea lions, giant sea turtles, and sting rays. Snorkeling kind of weirded me out at first because I’m not the biggest animal lover, but it’s actually such a cool experience and one that I highly recommend to all. As I just said, I am not a huge fan of animals. They kind of freak me out to be honest, but I don’t think you can go to the Galápagos without enjoying the exotic animals there. The sea lions were hilarious because while they are truly graceful animals in the water, on land they are the strangest creatures. They just flop around, sometimes pretty quickly, and make the ugliest noises. Think of a man vomiting and that sums it up. At night, hundreds of sea lions would come onto the beach near our hotel and would just flop around on each other and yell. I hated it but was so amused all at once. We also took a tour at a ranch where we saw the infamous giant tortoises. They really are giant, everyone. Aside from that and from the sharks, sting rays, and sea turtles, we also swam with numerous tropical fish and saw native birds. I still wouldn’t call myself an animal lover, but maybe I’m a bit more intrigued now. The beaches there…oh man. We went to small beaches where nobody else was which made the experience more special for our group. The sand was the softest I’ve ever felt, the water incredibly blue, and the views were beautiful. It was nice to have breaks from the boat and get to just relax on different beaches together. The beaches there are well taken care of and are so pure. My expectations for beaches are probably way to high now. Overall, it was the trip of a lifetime. I admire the work that is put into keeping the islands clean and natural. Imagine if every beach was that pure and every body of water was the bluest of blues. What a world it would be. 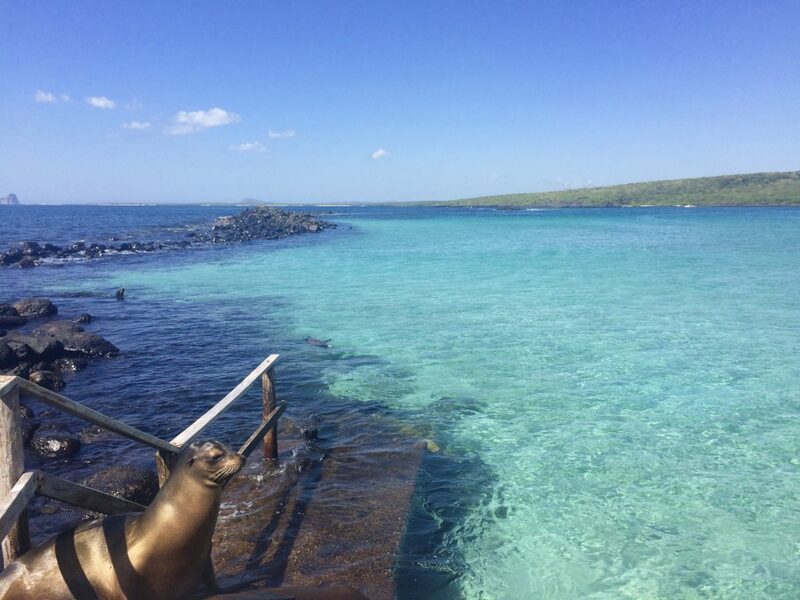 Get to the Galápagos if you get the chance because it’s amazing! Since the beginning of the semester I’ve said that once the Galápagos trip is over the semester is going to close quickly. So here I am. The trip is done and I have less than a month left. Oh my goodness, how I’m at this point in the semester I don’t know, but there are still four weeks of adventures to be had and lessons to be learned. Happy last month to my IES amigos, let’s make it count.